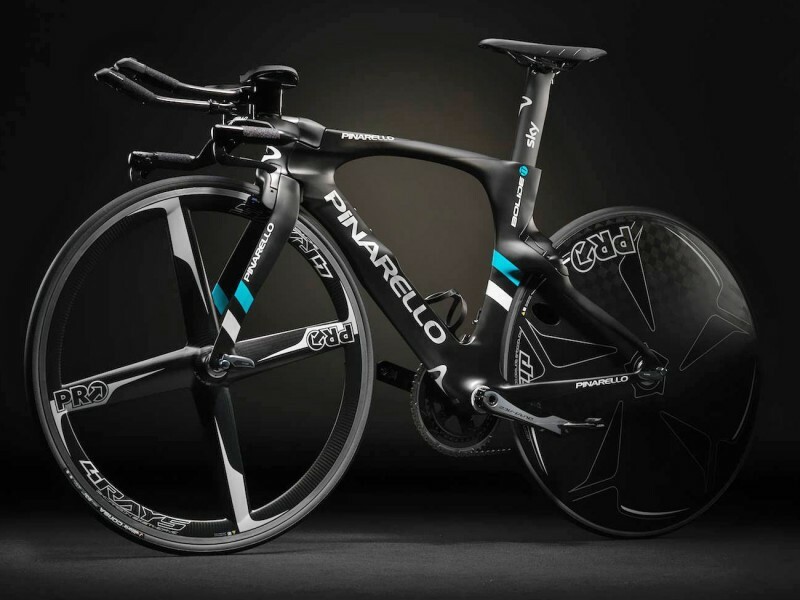 The Bolide TT model is a stunning evolution of the Pinarello Bolide — with the main objective of reducing drag and reducing weight, the Bolide TT Carbon Time Trial Bike keeps that same stiffness and aerodynamic design as the current Pinarello Bolide. This evolution has resulted in significant updates to the 2017 Bolide TT with a reduction of 350g from the total weight of the frame kit as well as improved aerodynamic performance. The revising of the structure of the fork has resulted in the new fork’s dropouts being designed with an airfoil section, which is directly inspired by the Bolide HR. 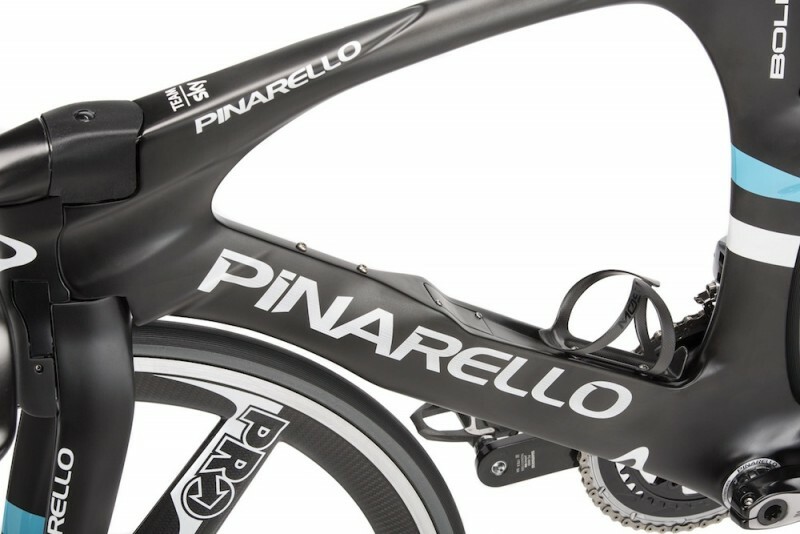 The sloping top tube features an optimized airfoil section as well and the rear dropouts are now made of alloy. 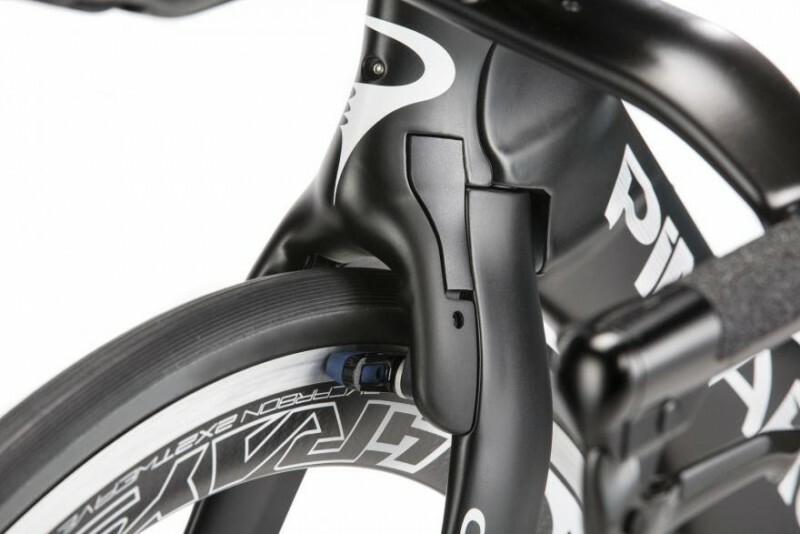 The new downtube is interesting as it was designed with a concave flatback and section that is designed specifically to fit a water bottle while remaining aerodynamic. The bottom bracket is no longer Press Fit but has been replaced with Italian threading, which is true to the Italian brand. 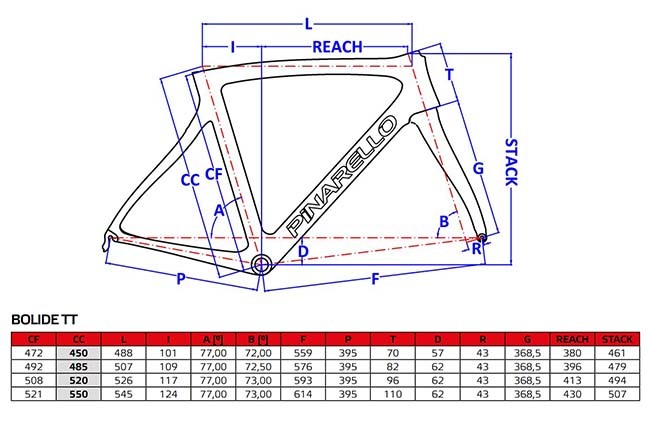 The frame uses carbon via Torayca T1100, which gives an overall supreme stiffness as well as a reduction in weight from the Bolide 65HM1K carbon. 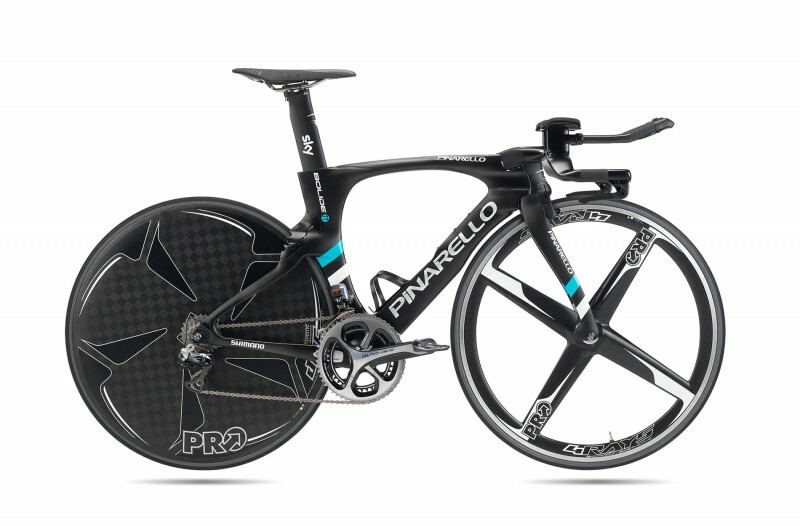 This 2017 Pinarello Bolide TT Carbon Time Trial Bike is an exceptionally lightweight, streamlined, and gorgeous choice, most notably made by the Sky Team and Chris Fromme. With a stronger and more aerodynamic frame and a shedding of an incredible 350g off of the frame kit, this 750g bike is extremely stiff, will cut through the air like a knife, and has been optimized and updated with incredible design features. 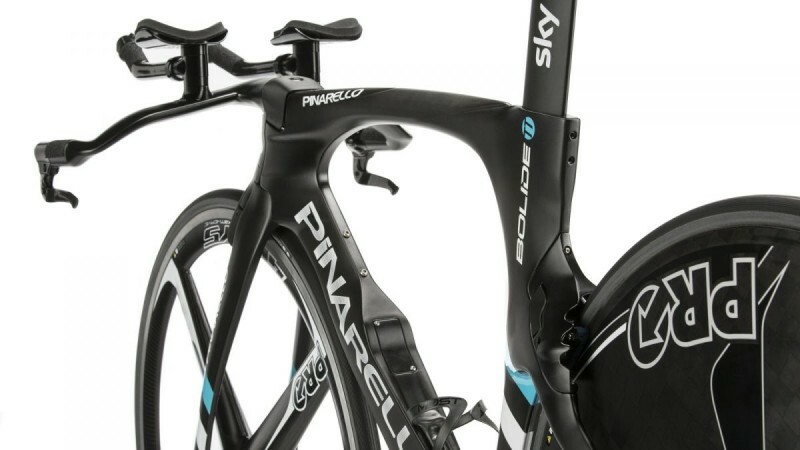 The optimization of the frame construction included the internal arrangement of the electronic groupset components, which improves the aerodynamics from the last model and reduces drag. They even updated the bike with a new trailing edge for the rear brake cover. The frame and fork are impressive — the carbon used for the Bolide TT is Torayca T1100 which reduces the weight while maintaining a stiff and aerodynamic frame. 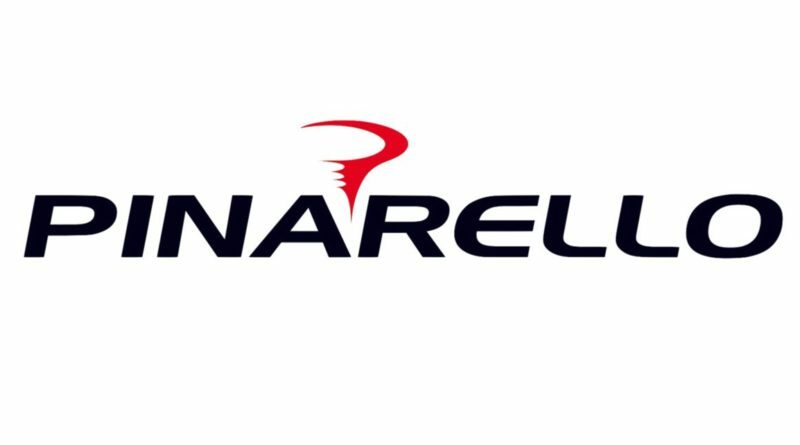 The MSRP for this Pinarello 2017 Bolide TT is $14,499, however you can find it online for just a bit cheaper. This is a new model, so don’t expect to get one at any sort of steep discount.